A huge and exuberant arrangement of fresh flowers greets you when you enter the Community Building. No dusty silk flowers for us! Fresh flowers are a Pennswood hallmark. Wander though the building and you’ll see 13 more arrangements that bring color and life and warmth to our common areas. 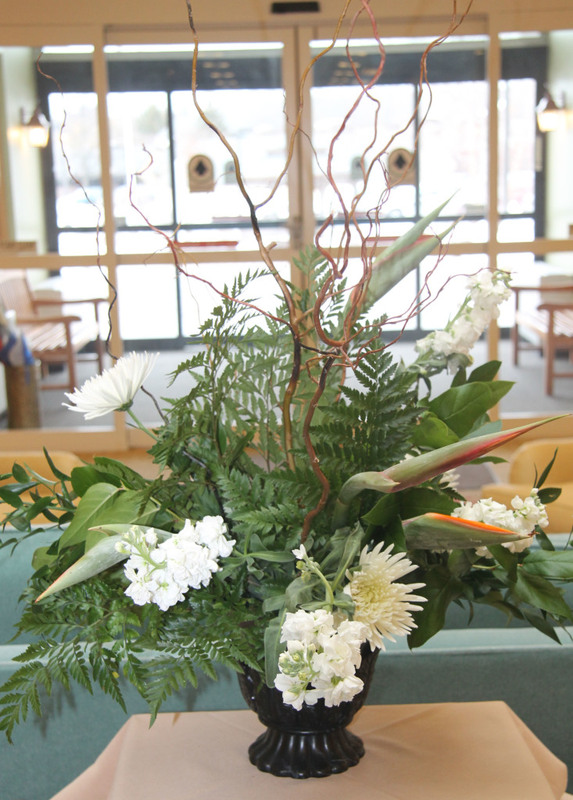 Some 20 residents – all members of the Flower Committee – create and care for these beautiful arrangements every week. 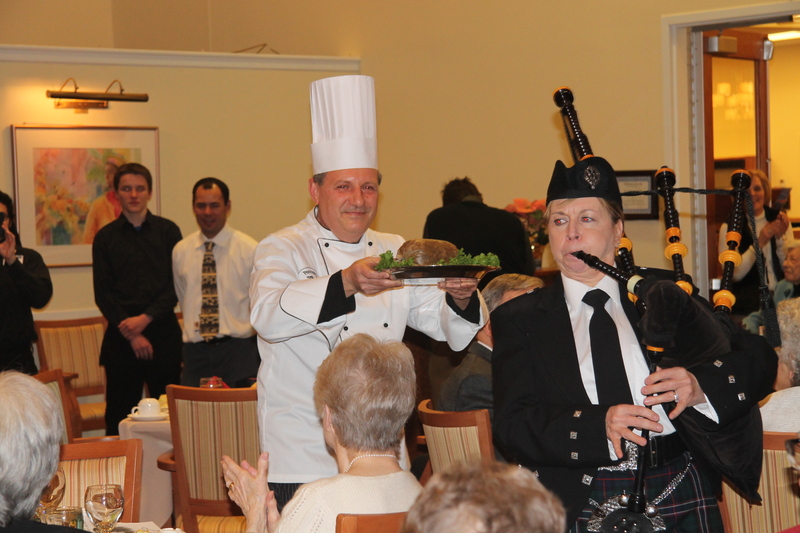 Pennswood Village Celebrates Robert Burns Night! 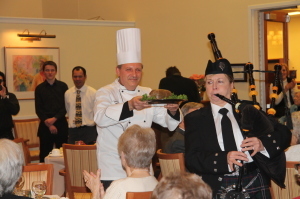 Pennswood Village residents gathered on Thursday, Jan. 22, to celebrate the life and works of Robert Burns with a fun and festive Robert Burns Night! Starting with a bagpiper and ending with a rousing chorus of “Auld Lang Syne,” the evening was thoroughly enjoyed by all in attendance! Pennswood Village resident Marguerite wrote this letter to friends and family in celebration of the 2014 holiday season. We are sharing her words here (with her permission) because we feel it is an excellent example of many of the Quaker values that define Pennswood Village. This quote speaks to the heart of what I would say in this end-of-year missive. Personally, Richmond and I are living blessed lives: we know how good we have it. We enjoy excellent health, a welcoming and safe place to live, interesting and worthwhile work to do, children and grandchildren who are living productive lives, generous and committed friends and neighbors. This surely is the best of times for us. For 35 years, Pennswood Village has been the go-to destination for Bucks County, Pennsylvania, area seniors. As the Newtown, Pennsylvania, senior living community prepares to spend 2015 celebrating its 35th anniversary and all of the progress it’s made during that time, one sentiment from leadership remains constant: Pennswood Village would not be the community it is today without the help of its amazing residents.